The post Dataset from “xDedic” Marketplace Suggests Government, Corporate RDP Servers Targeted appeared first on Flashpoint. The xDedic marketplace is a predominant cybercriminal marketplace on the dark web known for hosting sales of access to compromised Remote Desktop Protocol (RDP) servers. RDP is Microsoft’s proprietary protocol that provides users with a graphical interface to connect to another computer over a network connection. System administrators frequently use RDP to control servers and PCs remotely. RDP clients are available for all of the modern operating systems (OS), including Linux, Unix, OS X, iOS, and Android. Server software exists for Windows, Unix, and OS X. In order to gain RDP access, threat actors typically launch bruteforce attacks by systematically checking all possible RDP username and password combinations until a match is found. This primitive form of attacking requires formidable computing power with distributed resources and is most successful against short, weak passwords. While these attacks tend to be less effective when users’ RDP login credentials include passwords that are longer and more complex, the use of large botnets can enable some attackers to effectively gain RDP access under such circumstances. Indeed, xDedic cybercriminals typically begin launching large-scale scan and bruteforce attacks to collect as much information as possible before sorting its potential value. As RDP servers are established in order to provide remote access to office resources, they can provide an initial vector into target organizations. Once a hacker secures login credentials for RDP access, he or she effectively owns the system where the RDP server is installed. In addition to being able to launch external attacks and move laterally within networks, attackers are then able to plant malicious software, exfiltrate data, and/or manipulate network settings. Many actors also sell the login credentials of targeted systems as commodities on underground marketplaces such as xDedic. As the exploitation of RDPs becomes more popular, numerous threat actors continue to inquire about how to properly configure their compromised RDPs to ensure that their illicit activities remain undetected. Flashpoint analysts gained access via an external link to one previously-exposed xDedic dataset, which contained information belonging to over 85,000 servers. The prolific threat actor “thedarkoverlord,” notorious for targeting healthcare entities, is believed to have leveraged this dataset for at least some of their breaches. Indeed, access to open RDPs belonging to healthcare organizations could provide particularly valuable resources to threat actors. Based on Flashpoint’s analysis of the exposed xDedic marketplace data, the most exploited sector appears to be education, followed by healthcare, legal, aviation, and government. The United States, Germany, and Ukraine appear to be the most frequently-targeted countries. Leveraging RDPs is a convenient way to enable access to systems over the Internet, especially in corporate environments that have remote IT support staff. Utilizing RDPs, however, is an organizational risk, given that remote attackers — including the prolific threat actor “xDedic” — may be able to guess or brute force the login credentials. Moreover, exposing RDPs to the Internet often relies on the presumed lack of a remotely-exploitable vulnerability in the RDP’s implementation. While the abuse of corporate and government RDPs is likely to continue, understanding the criminal tactics, techniques, and procedures (TTPs) listed above can help mitigate attacks from this threat vector. Image 4: The xDedic toolkit that includes xDedic RDP Client, xDedic RDP Patch, and xDedic Socks System is used to target corporate and government entities.The post Dataset from “xDedic” Marketplace Suggests Government, Corporate RDP Servers Targeted appeared first on Flashpoint. The post Threat Actors Leverage “Phonecord” Bot to Harass Victims appeared first on Flashpoint. Although the majority of cyber threat actors are fueled by the desire for financial or political gain, some actors lack traditional motivations altogether. Often referred to as “attention-seekers”, these actors’ malicious activities are driven typically by nothing more than a desire to attract attention by causing chaos for their own amusement. Despite their reputation for nonsensical campaigns, erratic targeting, and low technical sophistication, attention-seekers’ schemes can yield anything from mild nuisances to economic or even psychological distress. In fact, Flashpoint analysts recently observed groups of attention-seekers launch a series of vicious attacks that subject victims to an age-old and universally-despised form of abuse: telephone harassment. Since this particular form of telephone harassment first emerged in late April 2017, groups of attention-seeking actors have harassed a wide range of individuals and organizations via a telephone bot known as “Phonecord”. Although telephone bots in and of themselves are nothing new, Phonecord is relatively unique because it utilizes the social and communication application Discord, which enables users to make international calls directly and easily from the app’s voice chat functionality. And because those seeking to use the Phonecord bot have the option to pay for the service in Bitcoin, most users remain relatively anonymous. While Discord has long been popular among the gaming community, the app’s ease of use and ability to withstand distributed denial-of-service (DDoS) attacks has given rise to its heavy usage among cyber threat actor communities. Many of these victims have been harassed in a manner that resembles a common tactic known as “Swatting”, which occurs when a threat actor makes numerous “prank calls” to emergency services in an attempt to dispatch a large number of law enforcement officers to a specific address. Indeed, Flashpoint analysts observed various threat actors utilize Phonecord in similar yet more lighthearted manner: rather than dispatch emergency services, they ordered a large number of pizzas from multiple restaurants to be delivered to the same address. Not only does this leave the unsuspecting victim with an unusually large amount of pizza, it burdens them with the high cost of paying for such pizzas upon delivery. While these types of schemes yield no financial reward for the threat actors involved, they do satisfy these actors’ cravings for attention and amusement at the cost of victims’ discomfort. In fact, multiple threat actors have even been known to utilize the Phonecord bot to harass certain individuals and law enforcement agencies on repeat occasions. Unfortunately for many threat actors, their multiple attempts to call numbers including “911”, the suicide hotline, and other emergency services hotlines were unsuccessful because Phonecord’s configuration blocks calls to such numbers. Image 1: Actors attempt to make calls to “911” and make implications about using the service for “swatting,” in which threat actors place calls to the police with the intent of directing police SWAT teams to victims’ addresses. Image 2: In an April 25, 2017 post, an actor attempts to make a call to the suicide hotline. One administrator of the Phonecord bot service most notably took credit for a DDoS attack that took down servers for the popular game Minecraft for an extended period in June 2014. Although this actor and the other administrators have not advertised Phonecord explicitly as a criminal service, numerous instances of abuse have evidently become present. Flashpoint analysts assess with high confidence that threat actors will likely continue to use the Phonecord bot to carry out harassment campaigns against various individuals and organizations unless the administrators of the service institute additional controls and countermeasures. The most effective way to avoid becoming the victim of Phonecord and other telephone bot harassment schemes is to exercise extreme caution in safeguarding personal information such as telephone numbers and home addresses. For those whose personal information has already been exposed, taking additional measures by changing telephone numbers and opting to use a P.O. box as opposed to a residential address on all correspondence will serve as additional barriers that may help deter the efforts of some actors. Victims of telephone bot harassment and/or other malicious schemes are encouraged to report such incidents to the Internet Crime Complaint Center: https://www.ic3.gov/default.aspxThe post Threat Actors Leverage “Phonecord” Bot to Harass Victims appeared first on Flashpoint. On March 4, 2017, a member of a top-tier cyber criminal community mentioned a new ransomware variant called “Karmen.” We’ve taken a closer look. The post Karmen Ransomware Variant Introduced by Russian Hacker appeared first on Recorded Future. Further investigation revealed that “DevBitox,” a Russian-speaking cyber criminal, was the seller behind the Karmen malware on underground forums in March 2017. However, the first cases of infections with Karmen were reported as early as December 2016 by victims in Germany and the United States. Mentions of “Karmen” by DevBitox or Dereck1 on dark web and special access sources in Recorded Future, which include posts by the actors selling the Karmen malware on the aforementioned criminal forum. Mentions of Karmen malware on the web over time. The Karmen malware derived from “Hidden Tear,” an open source ransomware project, available for purchase by anyone. As is typical for ransomware infections, Karmen encrypts files on the infected machine using the strong AES-256 encryption protocol, making them inaccessible to the user and may trigger a ransom note or instructions demanding that the user pay a large sum of money to obtain the decryption key from the attacker. A notable feature of Karmen is that it automatically deletes its own decryptor if a sandbox environment or analysis software is detected on the victim’s computer. Here are screenshots of the affiliate’s page seen by purchasers of Karmen. 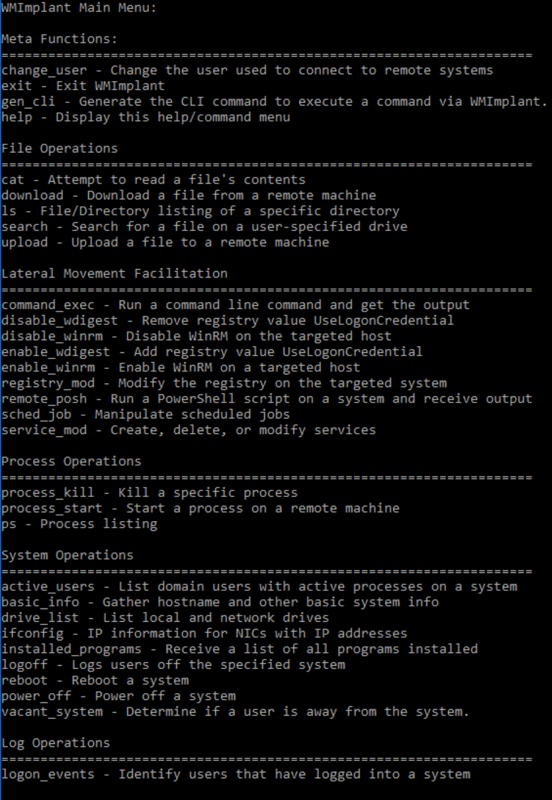 Configuration of Karmen through this interface allows actors to change the malware’s settings using a control panel that requires very minimal technical knowledge. The “Clients” page allows for tracking of computers infected with the virus, including the status of any ransom that’s been paid. The dashboard gives an overview of other relevant information including the number of clients they have, how much money they’ve earned, and updates to the Karmen software. On the computer of a user infected with Karmen the above message is displayed, warning them not to interfere with the malware. Video presentation of Karmen ransomware operation. Please note although this video appears on the Recorded Future YouTube channel it was produced by DevBitox as a marketing tool for their ransomware. The seller has admitted he was only involved with web development and control panel design; the malware is utilizing the open source encryption project “Hidden Tear” and was created by an unknown associate operating out of Germany. As of this writing, 20 copies of Karmen malware were sold by DevBitox, while only five copies remain available to potential buyers. This episode focuses on a new ransomware variant called “Karmen” that’s cheap and easy to use for cyber criminals. Andrei Barysevich provides more detail. The post It’s Cheap, It’s Easy, It’s Dangerous: Karmen Ransomware Hits the Criminal Black Market appeared first on Recorded Future. Over the last two years, ransomware has become the hottest commodity in the criminal black market. And we do mean commodity — it’s getting cheaper and more accessible to crooks, even the unskilled ones. The first infections seem to go back to December of 2016, with victims in Germany and the United States reporting infection. DevBitox is no cryptographic ace — by his own admission, he was involved only with web development and control panel design, the criminal customer’s user experience. But Karmen is interesting not only because it’s dangerous, but because it’s cheap, and because it affords some insight into the way criminal markets function. Joining us to talk about Karmen is Andrei Barysevich, Director of Advanced Collection at Recorded Future. As of April 15, the Chinese cyber community had begun to investigate the most recent release of malware from the Shadow Brokers group. Here’s a closer look. The post Chinese and Russian Cyber Communities Dig Into Malware From April Shadow Brokers Release appeared first on Recorded Future. Mentions of Shadow Brokers-released malware on the Chinese language web and from Recorded Future sources. The surprising recent release has also stirred up great interest among Russian-speaking cyber criminals. Only three days after the data was leaked, a well-respected member of the top-tier dark-web community provided a detailed setup tutorial of weaponizing the ETERNALBLUE exploit as well as the DOUBLEPULSAR kernel payload. Mentions of one of the tools, ETERNALBLUE and DOUBLEPULSAR, on the Russian language web over time. In a separate thread, another member of the community, solicited help from other members in utilizing a proper exploit for a vulnerable Server Message Block version 1 (SMBv1), identified at the time of scanning a victim’s environment. Several members recommended using the recently released ETERNALBLUE exploit and admired its usefulness. Shadow Brokers is probably a hacker group that first came to public awareness in August 2016. While membership of the Shadow Brokers group remains unknown, it has both advertised for sale and publicly released hacker tools and exploits which the group claims were written and used by the U.S. National Security Agency (NSA). Discussions in the Chinese and Russian cyber communities indicate that there is broad interest in these capabilities released by Shadow Brokers. Chinese users are particularly interested in the unique malware triggers and many feel the underlying vulnerability exploited by these toolsets has not been completely mitigated by the patches. Further, Chinese APT groups have demonstrated an ability to quickly weaponize zero-day vulnerabilities, in as little as three days after public release in one instance.These three factors combine to increase the risk that malicious Chinese actors may reuse or repurpose this malware. Recorded Future customers should set up alerts on these tools and the corresponding vulnerabilities, patch critical systems immediately, and remain vigilant to unique variations on these exploitation techniques. The post Going Dark: Fact vs. Fiction on the Dark Web appeared first on Recorded Future. Mention the dark web and many people summon imagery of a massive, mysterious online criminal underground, where all manner of products and information are bought, sold, and traded, hidden away from the prying eyes of the public and law enforcement. But, is that really what it’s like, or is that just cyber security marketing hype? In this episode, we take a tour of the dark halls and back alleys of the dark web with the aim of separating fact from fiction. We’ll learn the truth about the people and products on the dark web, and find out the part it plays in threat intelligence today. Our tour guides are Andrei Barysevich, Director of Advanced Collection at Recorded Future, and Emily Wilson, Director of Analysis at Terbium Labs. The post Threat Intelligence: A Critical Defense Tool for Your Security Operations appeared first on Recorded Future. As attack methods continue to evolve and multiply, the only chance of staying a step ahead is enabling your security operations center (SOC) with the most powerful toolset possible. As the complexity of security has increased, a wide array of products have come to the forefront in an effort to prevent the battle for safety from becoming a losing one. Recently, though, one tactic in particular has proven extremely effective, primarily because it does its job before an impactful security event actually takes place: threat intelligence. It’s no secret that SOC analysts are becoming buried in more security data on a daily basis, and without the right tools, identifying critical security insights and making the right recommendations in an efficient or effective manner is next to impossible. Threat intelligence allows businesses to both avert and mitigate developing security threats before they actually make a negative impact. The concept of threat intelligence has been on the rise in recent years. As TechCrunch reported, the practice area has brought forth a number of initiatives led by researchers and security vendors who are working together to collaborate, share security information, and protect customers, such as the Cyber Threat Alliance. The government is getting involved, too. The Cybersecurity Information Sharing Act (CISA), was enacted in 2015 as a way to make threat intelligence sharing easily accessible to businesses. Ultimately, the development of threat intelligence is resulting in a multitude of platforms and standards that are aimed at helping businesses and federal organizations collect, aggregate, and use cyber threat intelligence in common with others. The results are reducing the lifespans of new attacks and putting pressure on malicious actors, making it more difficult to continue operating. Threat intelligence and information sharing is raising a new kind of proactive awareness around new methods of attack, as well as in-progress data breaches as they happen, providing a way to avoid significant security events from affecting more targets. So, what kinds of tools are available for harnessing the power of threat intelligence to put organizations in a better position of defense and assist security operations personnel? There are quite a few, each with their own benefits, but this post will focus on using threat intelligence in combination with your security information and event management (SIEM) solution. In this case, Recorded Future for Splunk. By integrating Recorded Future with Splunk, security teams can visualize the content generated by Recorded Future, enhancing their overall understanding of the security posture of the environment. Let’s look at some examples. Make fast, informed security determinations. Security teams are tasked with parsing through a myriad of events and alerts on a daily basis. When Recorded Future and Splunk work together, the significance of potential security events becomes remarkably clearer via rich context. Armed with threat intelligence, analysts are able to more quickly identify irrelevant or false events and gain greater insight into legitimate incidents. Identify critical incidents that could be easily overlooked. Recorded Future provides the means to apply specific indicators consistent with security needs to generate accurate event correlation and detection. Indicators are identified with increased risks through web reporting, threat lists, and proprietary methods unique to Recorded Future. Access threat insights beyond what you can see on your network. Recorded Future for Splunk also delivers the capacity to detect incidents proactively as they’re originated or reported beyond a network. Risks can be monitored and alerted on according to IP address ranges, domains, and companies. As alerts are triggered, SOC analysts will receive detailed notifications that include origin, source links, and cached access to content. August Schell Enterprises is a big proponent of using machine data to generate threat intelligence and enable sharing, and frequently works with both federal and commercial customers to help them reap its value. Recorded Future has been proven a highly effective product for real-time threat intelligence security, particularly when paired with Splunk, and August Schell has made a concerted effort to closely partner with both vendors in an effort to maximize the positive impacts of their solutions for its customers. Machine learning brings great potential in enhancing security defenses, but it also requires a powerful solution set for revealing insights and giving rise to action; this is what Recorded Future for Splunk is able to achieve. If your organization is interested in learning more about how Recorded Future for Splunk can enhance your security program, request a demo or reach out to an August Schell specialist. Ron Flax is Vice President and Chief Technology Officer at August Schell, where he leads the way in learning about new technology products, leveraging those in the business, and educating employees, partners, and customers on the interesting and unique ways these technologies can be applied to solving problems. The post Fatboy Ransomware-as-a-Service Emerges on Russian-Language Forum appeared first on Recorded Future. On March 24, 2017, a member of a top-tier Russian cyber criminal forum posted an advertisement for “Fatboy,” a new ransomware-as-a-service (RaaS) product. The advertiser, operating under the username “polnowz,” describes Fatboy as a partnership, offering support and guidance through Jabber. While the RaaS has not yet received any endorsements or feedback from the hacking community, on March 26, “ilcn,” a reputable member of the forum, offered to assist polnowz with translation in the product. Query results for “Fatboy Ransomware” in Recorded Future show posts by polnowz and ilcn about Karmen. The Fatboy ransomware is dynamic in the way it targets its victims; the amount of ransom demanded is determined by the victim’s location. According to polnowz, Fatboy uses a payment scheme based on The Economist’s Big Mac Index (cited as the “McDonald’s Index” in the product description), meaning that victims in areas with a higher cost of living will be charged more to have their data decrypted. The Economist invented the Big Mac Index in 1986 as a tool for explaining exchange-rate theory. Purchasers of the Fatboy RaaS partner directly with the author of the malware and not through a third-party vendor. Potential partners also receive payment instantly when a victim pays their ransom, adding another level of transparency to this partnership. Since February 7, 2017, the author of the Fatboy RaaS has purportedly earned at least $5,321 USD from their own ransomware campaigns using this product. A computer infected with the Fatboy malware will display the above message, explaining that the user’s files have been encrypted, stating the ransom amount, and warning the user against interfering with the ransomware. We invite you to take part in a partnership for the monetization of downloads with help of the Fatboy encryption software. Limited partnership. The level of transparency in the Fatboy RaaS partnership may be a strategy to quickly gain the trust of potential buyers. Additionally, the automatic price adjustment feature shows an interest in customizing malware based on the targeted victim. Organizations should be aware of the adaptability of Fatboy, as well as other ransomware products, and continuously update their cyber security strategies as these threats evolve. Meterpreter, as shown in Figure 1.
explicitly defines what is allowed to run on the protected system. from running unless explicitly allowed, per the CIP. are completely blocked unless they are an allowed data type. mode, as shown in Figure 4.
need to not blue screen or degrade use of the targeted system. a string type, and determine if it is writable (the script is available here). will place a memory dump after a computer failure, as shown in Figure 5.
determine how much data could be placed in the DebugFilePath property. that it is easily retrievable and modifiable remotely. system’s DebugFilePath over WMI to receive the encoded results. the amount of time that the WMI property is modified from its original state. authenticate with the provided credentials. the user to interact with the command while running, however. WMImplant and specify the “gen_cli” command. the normal WMImplant menu and asked for the command to be run. non-interactive manner, as shown in Figure 8.
and copy and paste the command to run WMImplant non-interactively. DebugFilePath property to obtain its original value. the DebugFilePath property, and the PowerShell process exits. the data, and displays its contents to the console. value to enable credential caching. I’ll be happy to get a fix pushed! work of Matt Graeber, Willi Ballenthin, and Claudiu Teodorescu. system. Get a listing of all files within a directory. WMI. This multi-step process is demonstrated in Figure 9.
targeted system. Listing files by directory. with each node knowing only the previous and next node in the path. web” sites such as the defunct Silk Road. legitimate HTTPS connections to well-known services. Figure 1 displays the traffic flow when using meek. the hidden TOR (.onion) address of the system. Figure 2 displays the contents of the TOR configuration file core. and install.bat to install the TOR service. data and logs from the operation of TOR. activity through enhanced logging is available here. script was deleted after execution, and was not recovered. escalation using this simple and well-known exploit. details for the “Google Update” service. connections. Table 2 shows the modified values for these registry keys. 62304, 62305 and 62306 to ports 3389, 139 and 445, respectively Figure 2 displays the contents of the TOR configuration file core.